In the future, humanity has spread out among the stars. Various planets and systems have all gotten new colonies. Then, all communication with the home planet, Earth, was lost. Nobody was quite sure why, but any expedition sent to figure out what happened has never come back or been heard from again. With the lack of guidance from Earth, the colonies have banded together as their own political entities. This is the setting in Stellar Chaos, a new sci-fi RPG that's up on Kickstarter now. 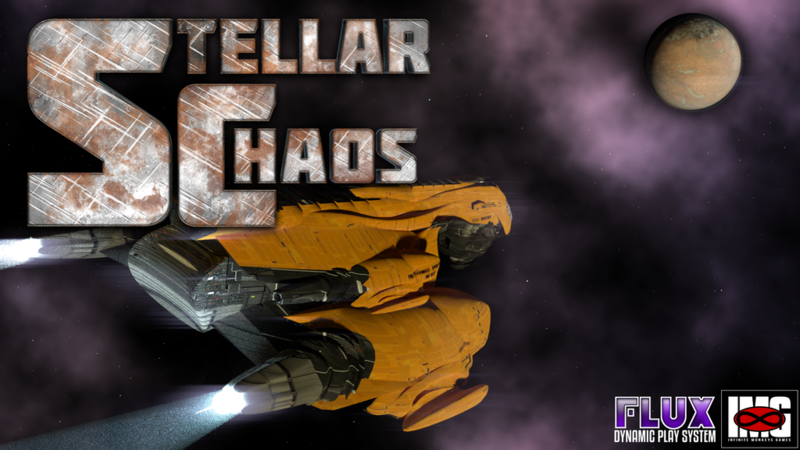 Stellar Chaos™ is a table-top role playing game set in the not-so-distant future against a hard science fiction backdrop. It's heavily influenced by both Japanese animation and American classic sci-fi, and explores extrapolated and speculative science. The back story for the game universe surrounds Earth's numerous colonial worlds and systems, who have all suddenly and inexplicably lost contact with Earth. In the years to follow this loss of contact, the colonial worlds banded into tenuous Nation States to survive, provide mutual support, and to share or hoard resources. Expeditions back to Earth to discover the reason for the loss of communications have never returned, most likely having been destroyed, and therefore Earth is unanimously declared off-limits a quarantined system. The Kickstarter campaign is up and running now. It's set to go for another 27 days.